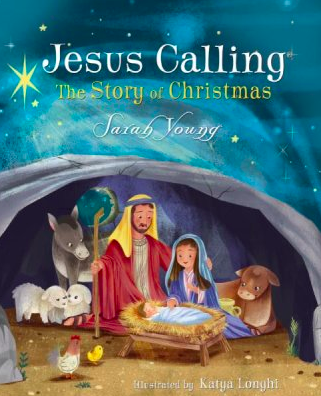 Join us as we celebrate the release of two new Jesus Calling books for Christmastime! On this special episode, we talk with Christian singer/songwriter Mark Lowry about his favorite Christmas traditions and get a behind-the-scenes look at how he wrote one of the most beloved Christmas songs of all time, “Mary, Did You Know.” During the second half of our show, we continue the celebration as we talk with the president of Christian Book Distributors, Ray Hendrickson, and his staff as they commemorate 40 years of ministering to the world with Christian products. Ray and the CBD staff share how they take great joy in sharing products that help their customers through tough times and grow their faith—products like our very own Jesus Calling. Narrator: Welcome to the Jesus Calling Podcast. 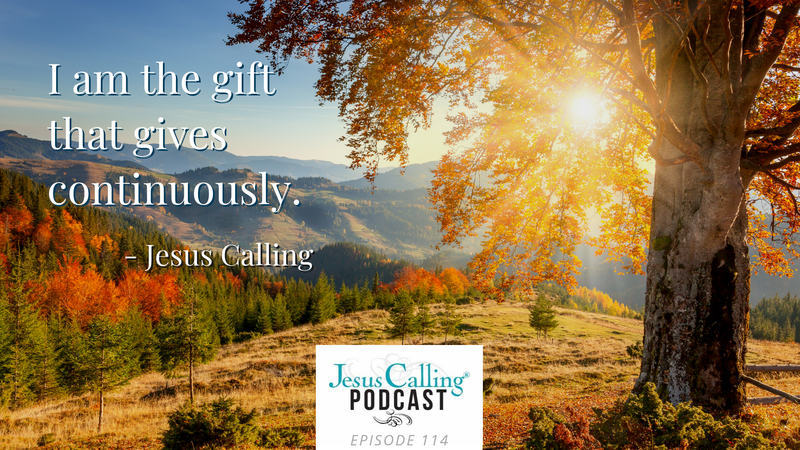 Today is a special episode as we celebrate the release of two new books from Jesus Calling for Christmastime. 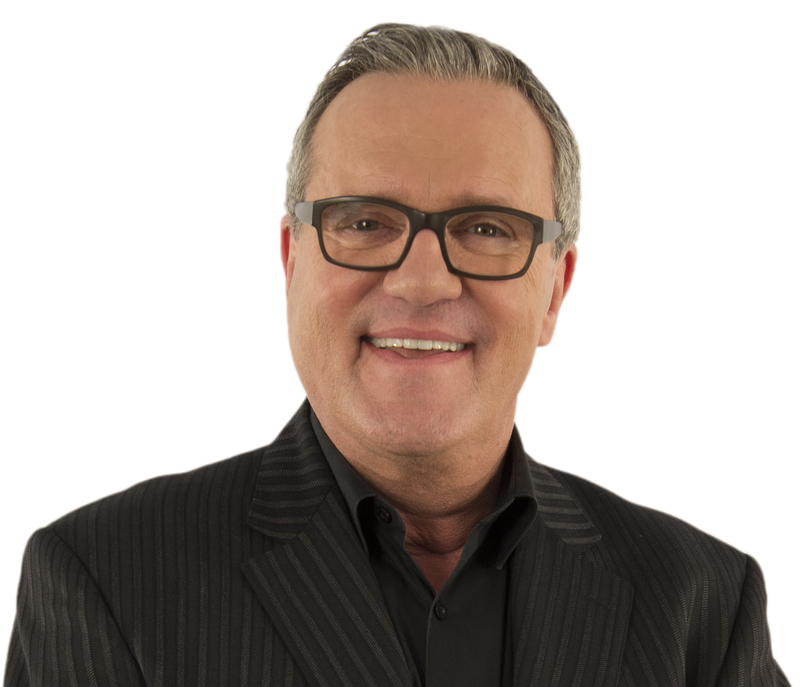 And to help us celebrate, we’ve asked Christian singer/songwriter Mark Lowry to the show. Mark shares about his own Christmas traditions growing up and why Christmas is special to him. He also gives us a behind-the-scenes look at the inspiration that led him to write one of the most beloved Christmas songs of all time, “Mary, Did You Know?” During the second half of our show, we continue the celebration as we talk with the president of Christian Book Distributors, Ray Hendrickson, and his staff as they commemorate 40 years of ministering to the world with Christian products. 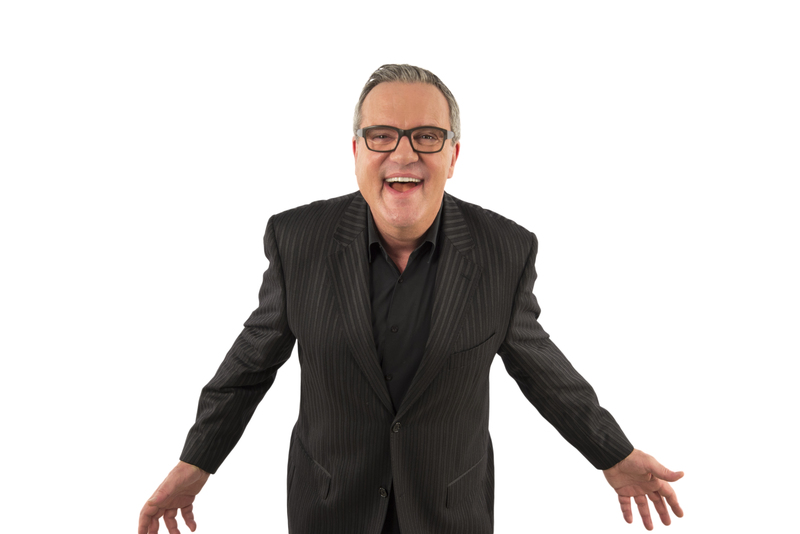 But first, let’s have a little early Christmas celebration with Mark Lowry. Mark: My name is Mark Lowry. I am a gospel singer who tells stories between the songs. I think the Christmas story is beautiful because only God could have thought this. I don’t think man could have come up with the idea of grace, apart from God delivering it. And because it’s so crazy that God would love us before we even knew ourselves, who we were before we were ever born. He loved as He planned us, and we are the apple of His eye. Christmas is a reminder, a yearly reminder, plus Easter. He never asked us to remember His birth, but He did ask us to remember His death. We take pride in remembering His birth because without His birth, there’d been no death. My personal Christmas tradition, when I was a kid, was staying up as late as I could to look for a red nose streaking across the sky and scratching frost off the window, if there was any, looking for Rudolph. I’ve believed, when I was a kid, in Santa Claus, and my parents did nothing to discourage it. I loved that childhood. I remember coming down the stairs on Christmas morning and there being presents everywhere, because [when he was growing up] my father got oranges for Christmas. He was poor, and so when he became an attorney and was making a good living, he overdid it. So my Christmas memories are one of excess: a lot of food, lot of toys, and a lot of fun. My favorite Christmas songs are the old ones. I don’t really like new Christmas songs, which is very odd that I happened to write one. But I love “Away in a Manger,” “Silent Night,” “O Holy Night.” I love “Santa Claus Is Coming to Town.” I love anything all that makes me remember the magic of the whole season, because it’s not just about presents. It’s about remembering why we’re here, why Christmas even happened at all. Whenever the local radio station, around the 1st of November now—it used to be after Thanksgiving—but whenever they switch from the love-rock stuff to Christmas songs, that’s when I start listening to [Christmas music]. I don’t really listen to radio very much except around Christmas because it just brings in the mood. “Mary, Did You Know?” came along in 1984 when my pastor called me and asked me if I would write the Living Christmas Tree for our church. And being very young and not knowing I couldn’t, I said I would. So I proceeded to try to write all new songs. I considered myself a songwriter back then and really wanted to be. That was a goal, to be a songwriter. I sat down to do it, and Christmas songs are hard to write, [especially] good ones. What can be said that hasn’t been said, and how do you strike that nerve? I personally love the old songs, so what I did for the Christmas program, I did the first half with old secular songs that everybody knew. The second half were the spiritual songs that everybody knew. Then I wrote monologues to go between them for the characters to say, which is easy for me. But writing the songs is very tough. I was going on like that, trying to sound like Gloria Gaither, I guess. “And those little feet.” I was going through everything about that little 8-pound bundle. [Everything] that compressed and compacted into that 8-pound unintelligible bundle of baby noises was the fullness of the Godhead. So trying to put that into a lyric, I really didn’t set out to do that. It really was just questions. If I could sit down with Mary and say, “Hey, what was it like raising God? What was it like teaching God to walk?” You know, all these things that she did because He had to learn like us. He became one of us. That has got to be humiliating. It was a poem for a long time, from 1984 to 1991. I sent it out for Christmas one year from a Christmas card. But Buddy Greene, one weekend on the Gaither bus, I handed him the lyric. I wrote it out, handed it to him, and he thought, It’s going to be a funny song, because that’s what I’m kind of known for, being a funny person. So he took it home threw it on a stack of papers. God let an idiot and a harmonica player write it. They’d have neither one ever done it again, or even come close to doing it again. This song is bigger than anything I could have ever imagined or dreamed. And I know in my heart whether anyone believes me or not, it was a gift from God. To me, [that] is all I know. My favorite Christmas movie is, of course, It’s a Wonderful Life. I see it every Christmas, not even intentionally. I remember years ago, I was in a cheap hotel some church put me in. And on the black-and-white TV was the black-and-white movie, It’s a Wonderful Life. And it moved me so much, I called my brother just to hear a voice from home. Because those days on the road around Christmastime can be very lonely. Christmas can be a very depressing time of year for a lot of people. It’s winter. That right there is enough to depress you. I think if you’re grieving and lonely at Christmastime and going through a tough time, look outside yourself. Find some charity. You can go on Christmas and hand out gifts to kids that don’t get them. Look outside yourself, because as you look inward, it can get very depressing. When I read Jesus Calling, I really consider it “hearing from home.” I’ve used that phrase for many many years when I hear a preacher preach. So I call that “hearing from home.” And when I read Jesus Calling, I hear from home. I love that the scriptures are at the end of it to confirm. If [Sarah Young] was just over there like so many people, just making up stuff . . . this is not the Word of God that she’s writing. But it is very inspirational, and it’s true. The Bible speaks even today to the things that are affecting and infecting our lives, actually. And Jesus Calling, I think, is a beautiful supplement to that. Narrator: Mark shares an entry from Jesus Calling for Christmas. “When an angel announced My birth to shepherds living out in the fields near Bethlehem, he told them, ‘Do not be afraid. I bring you good news of great joy.’ The instruction of the instruction ‘do not be afraid’ is repeated in the Bible more than any other command. It is a tender, merciful directive, and it is for you. I know how prone to fear you are, and I did not condemn you for it. However, I do want to help you break free from this tendency. Joy is a powerful antidote to fear. And the greater the joy, the more effective the antidote is. We don’t have to be, and I think that’s what she says. We can walk freely in the middle of hell. One of my pastors always said if you’re going through hell, keep walking, don’t stop. And so I think that’s what this is about. Keep your joy. Don’t let anybody steal your joy. They might steal your life, steal your money, steal your reputation. But they can’t have your joy. 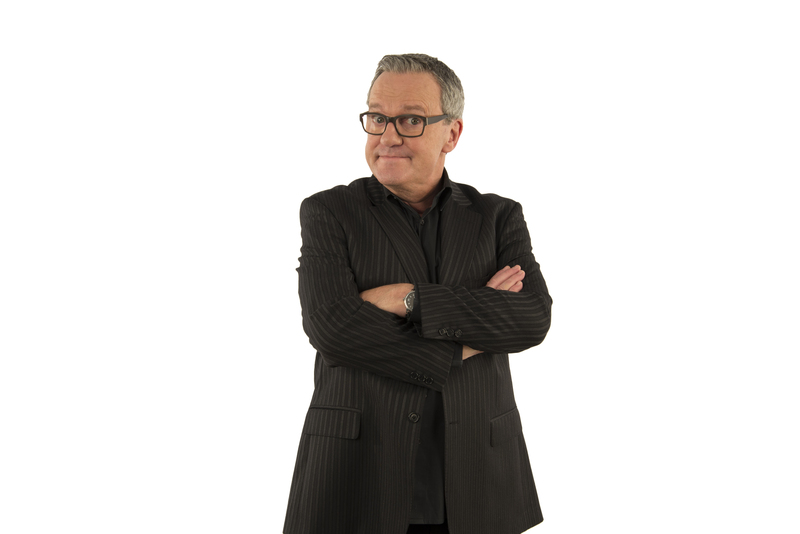 Narrator: You can hear Mark Lowry weekly on his podcast Dinner Conversations on iTunes or wherever you get your podcasts. And be sure to check out the entire Season 1, which just came out on DVD. You can find this at MarkLowry.com and learn about the cruise that Mark will be hosting in Spring 2019. Narrator: We’ll be right back with the second half of our program after this brief message from Jesus Calling and Mark Lowry. Hi, this is Mark Lowry. And I want to tell you about a great offer from Jesus Calling and Christian Book Distributors. 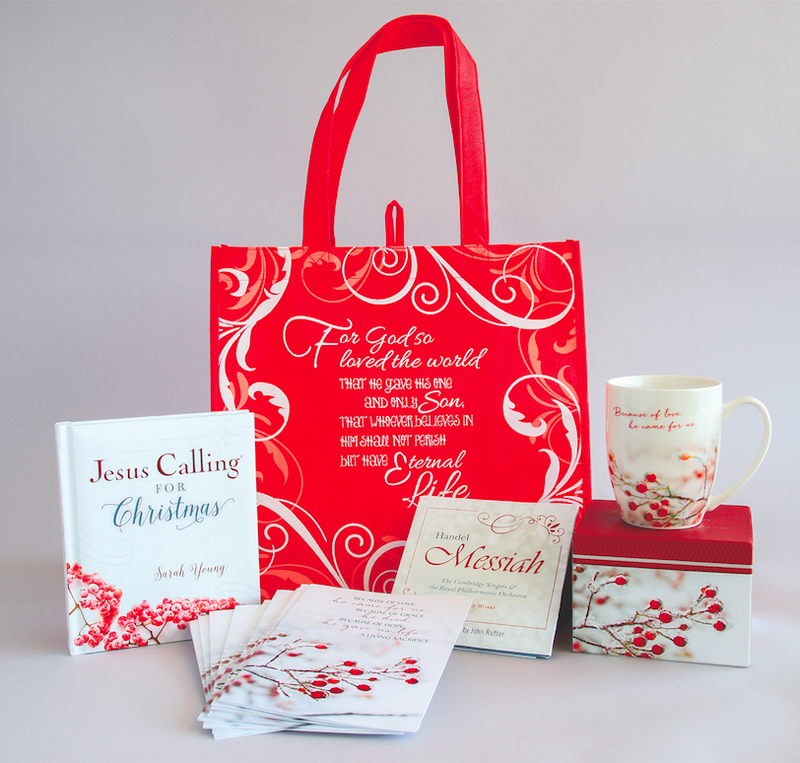 When you buy the brand new Jesus Calling Christmas Devotional, you’ll get a beautiful tote bag, a package of Christmas cards, a mug and a Handel’s Messiah music CD, all for only $19.95, while supplies last. Go to ChristianBook.com. 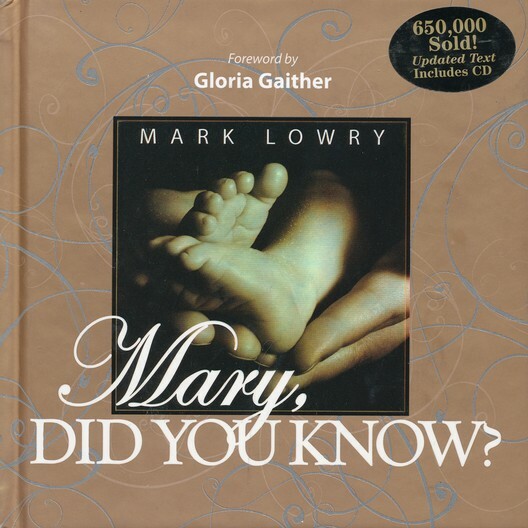 And while you’re there, be sure to check out my book-CD combo, Mary, Did You Know? It’s on special for only $5.00! 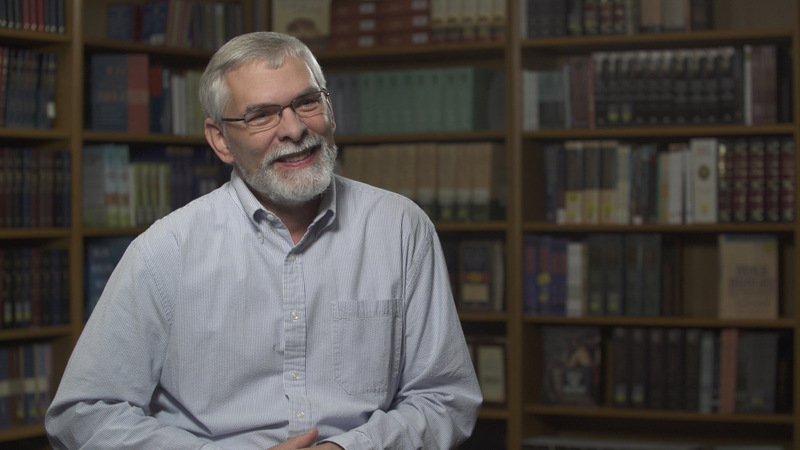 Narrator: The second half of today’s celebratory episode finds us talking to the staff of Christian Book Distributors, a force behind Christian product sales to the church and the general public, as they celebrate their 40th anniversary. 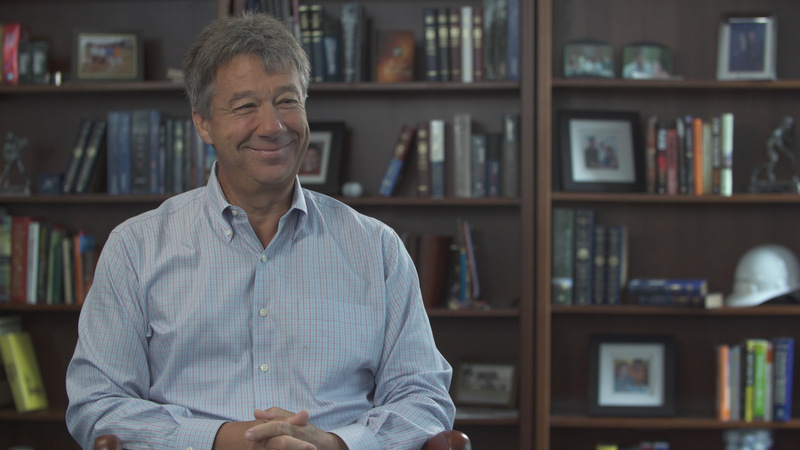 First up, we speak to the president of CBD, Ray Hendrickson, as he relates the history of CBD and why the mission of getting positive, uplifting and encouraging Christian products out into the world has been the heart’s desire of his family for nearly half a century. Then, we’ll hear from different staff members at CBD as they share how their lives have been impacted by working at this company, and how they take great joy in presenting their customers with products that will help them through tough times and grow their faith—like our very own Jesus Calling. Ray: I’m James Ray Hendrickson, the president of Christian Book Distributors. Christian Book Distributors, or CBD, has had a long run here. We’re actually here in our fortieth year at this point in time. Our company had a very unique history in that we started out in my parents’ house. My dad was a pastor of a small church here in New England, just north of Boston, maybe about 100 people. We really started with a very small bookstore, probably about 8 feet by 10 feet—more like a closet that was in the church. And that was our beginning of selling Christian products. But then, as I was a sophomore in high school, my brother was a sophomore in college out in Missouri and came up with the idea to start a catalog business. My parents were just so supportive of the whole thing. Perhaps the best way that I can describe that is the final six months—final year, perhaps—before moving out of their house, we literally took over every room of the house except their bedroom. And they were fully fine with it, fully supportive of it. We started with a small catalog that mailed 10,000 copies. And that was the very beginnings of CBD. We were fortunate in that for my brother, my sophomore, junior, and senior years, we basically were living in dorm rooms in our parents homes, and we didn’t have virtually any overhead. So we were able to learn the business by a little bit of trial and error. The last six months before graduating, we were doing about 100 orders a day. And at that point in time, we kind of thought, Maybe we have something at this point. It was a little bit of trek doing that out of Mom and Dad’s house, living on a dead-end road. But it worked. When we both graduated, myself from high school, my brother from college, we shortly thereafter moved out of Mom and Dad’s house into a real facility and have kind of gone on from there. What gets me up in the morning, it’s not something that if we were just selling widgets or something else. It just wouldn’t be the same. I think one of the things from our company beginnings, we really looked at primarily servicing our customer and giving great products great pricing. And that’s what’s driven us since day one. We do have a broad spectrum of folks at work here that have varying beliefs. Our company name is Christian Book Distributors, so we tend to attract people that that are interested in what we do. And a lot of the folks that stay long-term, the fact that they’re able to be involved in something that has an actual ministry aspect to their work is really key. Laura: My name is Laura. I’m a mother of a 22-year-old twins, a boy and a girl. I’m 51 and been divorced about six years. I’ve struggled hard, and Jesus has just been the center of my life and my anchor for that whole thing. Because if it wasn’t for Him, and my mom teaching me about a relationship with Jesus, I think I’d be here right now. I came to work at CBD about 6 years ago. I was going to church with a woman who works here, and she referred me. It was just such a nice concept to work at a Christian company where you wouldn’t get scoffed at for talking about Jesus all day. One of the best things is talking about God all day and God-related products. I’m praying with people. 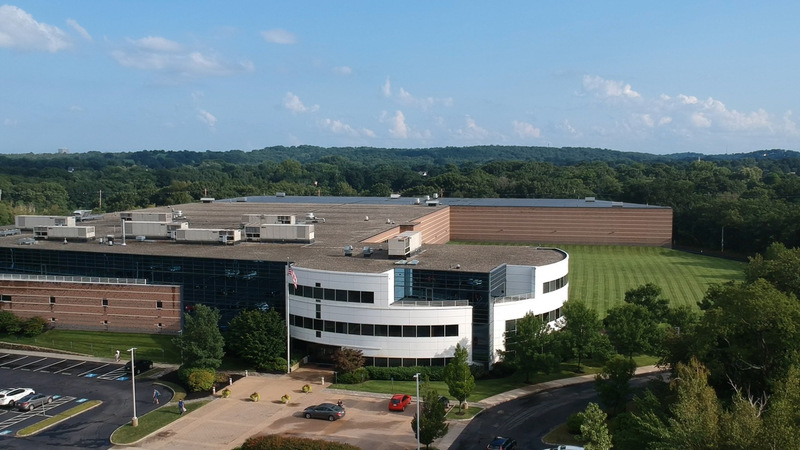 Never have I been at a company where the owners of the company are walking down the hallway, and they’re also Christian, and they’re [saying], “God bless you,” and, “Hi! How are you?” They’re walking around in shorts, they’re not stuffy. Everybody is just so pleasant here, and everybody just gels together really well. You don’t feel like a number. I’ve had too many jobs where I felt like, “Okay, next number, next number,” you know. And here, you’re really part of it. It really resonates. Francine: Hi, my name is Francine Thompson. I retired when I was 62 from a full-time job and I stayed home for a year and didn’t like it. So I came here 18 years ago and been here since. I really love people. I try to, when I’m talking to them, I’ll use their first name. Lots of times in the beginning, when I first started here, they didn’t like that. But every once in a while, they kind of liked that. Some of them were really friendly and just [like it when you’re] friendly with them. Elizabeth: My name is Elizabeth Ivens, and I have been here CBD for 20 years—actually, August of 1998. So just exactly 20 years. I work in our partner’s services area. [It’s a] really neat opportunity to partner alongside other ministries. 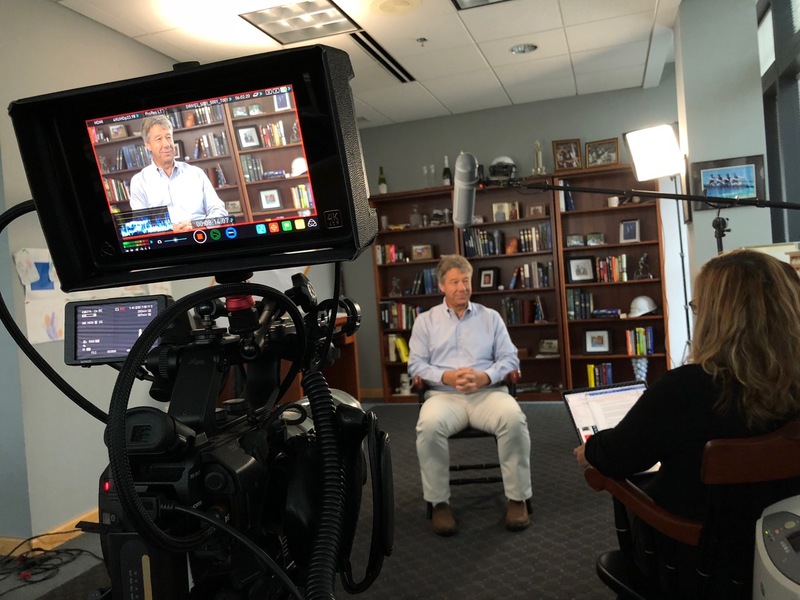 I feel what I’ve learned in my time here at CBD—and it’s customer service, specifically, just working with the customers. It’s not face to face, but it still is a chance to really get to know who is purchasing our product. You get to know really neat stories. They’ll tell you things that you wouldn’t be able to know that if it’s just an order coming through on a website or something. I got to know that there’s a lot of different people in a lot of different areas, a lot of different stories, and they also need that one. They still need that product, the Bible. They still need to have the music or the products that we offer, even though they’re coming from a variety of backgrounds. Ray: I know we run the business and try to run it as a small company, family feel. But at the same time, we’re a Christian company. And if you asked me to define that, it’s a little bit hard to tell what is a Christian company look like. I might have a hard time defining it, but when you’re here, I think you feel that people are being treated right and treated fairly and treated in a positive way. We have a team here that is a bit of a homegrown team. We have a huge bias to promote from within. And so my executive team is just absolutely phenomenal. I don’t know the exact average length of service, but they are all been here longer than 20 years, and I don’t think that ends up being a stale type situation. But it ends up being a situation of a group that knows our business really well, and just gives really really really good advice. We’ve been voted eight times winner of a Top 100 Employers by The Boston Globe. And you know, the very first year that it happened, it was one of our employees that nominated for that, and it was kind of a very humbling experience to even receive that award. I think it’s one of the things that we try to run our businesses as a family company. And although we’re over 500 employees now, it’s something where we still try to run it the same way we did when we were out of Mom and Dad’s house as a small family business. We try to know our staff, try to treat treat folks well. Kathy: My name is Kathy. I am a retired math teacher. I have three children, three grown children and three grandchildren. I love talking to the customers. I’m in customer service. I take orders, and I help people with orders, [people] that think something might be missing, things like that. My favorite part is taking orders from elderly folks who don’t have computers, and they are so appreciative when you spend a few extra moments helping them find what they’re looking for. A lot of them look for fiction, and they are very excited about it, and they’re just they’re just so thankful. And so it’s great that the folks that order Bibles and Jesus Calling for outreach. They are just such dedicated folks. Joe: My name is Joe, and this is my thirty-third year here at CBD. I came right out of high school, and I was 18 years old. I handle all the transportation. Anything coming in or going out has my fingers on it. So trucks, small packages, international containers, all that kind of stuff. If you think of trucking and shipping, that’s me. It’s funny because [when I first started], it was super small company, maybe 30 people. I was interviewed by the owner, and I started right in the warehouse. I worked in a warehouse, and when I was in high school, I was taking accounting classes. There was a job opening in accounting, and it was getting ready for their audit. So I interviewed for, and I got it, but only part-time. I worked in the warehouse in the morning and then went up to accounting in the afternoon. Then I was in a really bad car accident. I was laid up for well over a year. I broke the right side of my body, and I learned how to walk again, how to do everything again. I’ve multiple operations on my hip, my legs. I’ve got bone from other parts of my body in my legs. So it’s kind of like a miracle that I’m actually here. I woke up two weeks later in full traction, and I didn’t know what happened. I was freaking out. But my family was there every day, every night, and my friends—well, some of the friends. You kind of get to know who your real friends are. And a lot of people here at CBD [came and brought me] lunch, people I didn’t even know. And that was the biggest thing, when when I would come here and I have crutches and people would be like, “Yeah, Joe, I prayed for you every day. My mom prays for you all the time.” People you don’t even know are praying for you. That was a lot. To find out all these people behind you you never knew . . . and prayer goes a long way. And it really made me stop in my tracks and kind of was like, Wow. I don’t need to be doing all this crazy stuff. Elizabeth: It’s a special place for me, and I think for a lot of people. I’ve had so many, many, many family members work here, so it’s just a big family. Ray: We have various stories as far as how people have been affected by our ministry here. I think perhaps some of the neatest [come from] our missions that we get involved with. For me, growing up in a pastor’s home, I got a very strong commitment to missions from a very early age, which is extended into our into our company culture as well. It’s something that we are. We don’t talk necessarily a lot about or try to build ourselves up about it. It’s not something that when we do things, we’re not looking for the notoriety of what we’ve done, but more the impact of what we do. That’s what’s important to us. And so I think for us, some of that ministry is our foreign ministry. It’s really geared overseas in particular to develop pastors. We want to contribute to missions in areas that will have an exponential effect. And what I mean by that is, we really want to affect pastors, which then can have an exponential effect on a lot more people. I can really help a single pastor, whether it be better education or develop a pastor in some way shape or form. That’s what’s going to really have an effect on the world. Rick: My name is Rick Brown. I’m now in my 34th year [at CBD]. I’ve had many jobs here. Started packing books in the warehouse as a college student and as a part-time job. And like others have said, I just thought it was going to be a part-time job, but it turned into a career. One of the ways I’ve seen the uniqueness about CBD is we play a bit of the role of Switzerland. We have something for all the different strains of the church, all the different streams of the Christian tradition. I myself am Anglican, so we have prayer books for the Anglicans. We serve the Baptist church, we serve the Pentecostal church, we serve any number of the Orthodox Churches. And so wherever the church is growing, we’re there to help serve them and support them. And so we have seen different things especially over 30-something years. Ralph: My name is Ralph Massillon. I’m a buyer here at Christian Book Distributors. We carry a wide range, a wide assortment of products that are useful to Christians, that are useful to believers, that are useful to the church. We try to do so in a way that we make the books affordable, we make the resources affordable to folks. And so it equips it enables and empowers people for ministry. Narrator: Ray and his staff have a heart for their customers. They have an opportunity to interact with people daily and give them resources that encourage and uplift them. One of those resources is Jesus Calling. 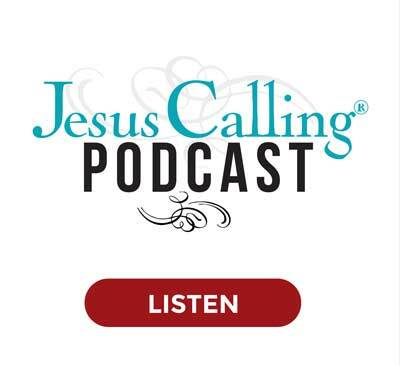 They talk a little bit about how Jesus Calling has impacted their own lives and the lives of their customers. Ray: So Jesus Calling coming out in 2004 was very timely for me in many, many ways. Up until 2004, our company was run by my brother and myself. And in 2004, my brother left the company and it was just me. Then we were just blown away by how its sales grew right off the bat, but then to see it continue to grow and grow and grow, and then to keep selling year after year has been absolutely amazing. I think it points to the fact that the selling of books in the Christian industry is a little bit different than many other spots. And it’s because Christians give books to people that they think need them, and the gifting of books is one of is that’s just a huge aspect of it. I think it’s one of the reasons why Jesus Calling has sold so many, many, many copies. Francine: Jesus Calling is a wonderful, wonderful devotional, and I highly recommend it to everybody. I usually put them in almost every order. I’ve had people call and say, “Gee, I have a friend who’s going through this problem and, you know, I was looking for some kind of a devotional.” Bam, Jesus Calling. Perfect. They buy it, and they love it. A lot of times they call back, and they buy more. It has an impact. It has an impact on many, many lives. Alicia: I first heard about Jesus Calling from my mom. She gave me a copy when I turned 13, the small hardback copy, and challenged me to start reading it every day either before school or after at night before bedtime. That was many, many moons ago. I graduated to the large print Deluxe Edition, where the scriptures are written out at the bottom. 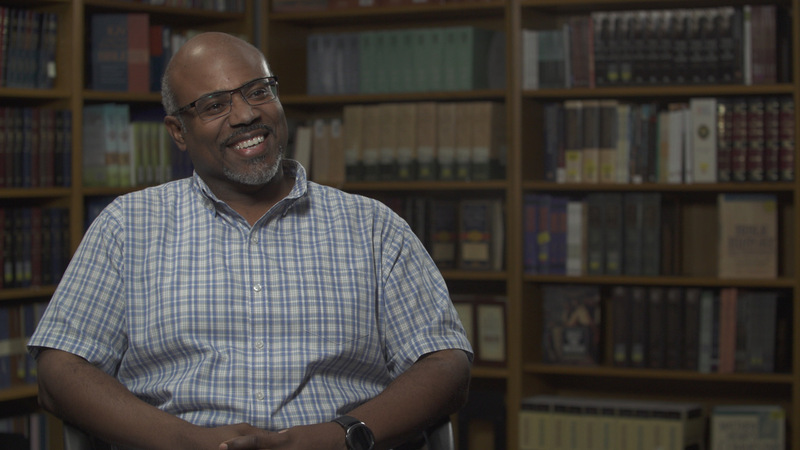 That hugely impacted me, when I started working here and hearing other people’s testimonies about how the book impacted them, how Jesus Calling impacted them. My favorite is when I get a phone call from a customer and you begin to say, “Thanks for calling, this is Alicia. How can I help you?” And the first thing out of their mouth is, “I’d like to order Jesus Calling!” And it’s so fun because after you go through the process of getting their name and information, that’s immediately followed up with a story, and it’s so fun to hear. Laura: I take phone orders and help out with any customer service issues. That’s one of the best parts of my job is taking the phone orders talking to people. There was a woman who called, and she was just in tears. She was just crying her eyes out. And I asked her what was wrong, and she said she needed help. I asked her to tell me [what she needed help with], and she said she was addicted to drugs. She was trying to get off them, and she just really wanted to talk to somebody. I said, “We really don’t do a prayer ministry here. But I have no problem praying with you over the phone.” So I prayed with her. And she ended up accepting Jesus in her heart that day. I remember walking into my manager’s office saying, “If I didn’t need the money so bad, I would do this for free because it’s just—I’m not going to start crying, I’m not going to start crying. So yeah, this is an amazing job. Kathy: I was teaching full time and [there was] a lot of stress, a lot of drama at work. I ended up being forced to retire because of some trauma and the effect it had on my life. A good friend of mine gave me a copy [of Jesus Calling]. And so about four years ago, it gave me a pathway back into the word. I worked two jobs and had a mom with Alzheimer’s, lots and lots of things were going on. So I crashed, and then I had lots of time. I spent the morning reading the daily devotion, reading the scriptures and the surrounding scriptures. And because, again, it was from Jesus’ perspective talking to me [and] very closely tied to the Scriptures, that impressed me a lot. It put me back on my feet, faith-wise. There are many passages in daily devotion that have really spoken to me. I chose one from July 15th. “Do not worry about tomorrow. This is not a suggestion but a command. I divided time into days and nights so that you would have manageable portions of life to handle. My grace is sufficient for you. But its efficiency is only one day at a time. When you worry about the future, you heap day upon day of troubles onto your flimsy frame. You stagger under this heavy load which I never intended you to carry. You know, the phrase that first spoke to me was “do not worry about tomorrow.” And I knew right away what scripture it was from. It’s not a suggestion, but a command. He doesn’t say, “If you feel like it,” you know. But Jesus is saying to us, “Don’t worry about tomorrow. I’ve got it. Worry about today, it’s all I designed you to be able to hold.” And that was really powerful in the midst of a multitude of struggles. 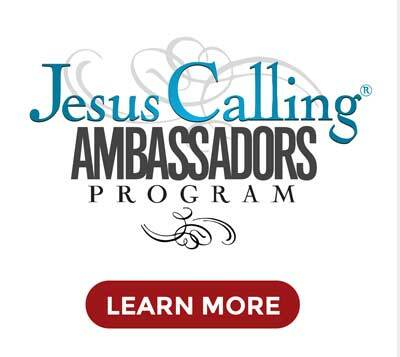 Ray: There are more people that continue to need the content of the Jesus Calling book. And that book tends to be given as a gift to many people and really touches people in a way that that a big theological book can’t. It’s a book that just hits the heart. Sometimes as a CEO, it’s trying to fit it into your your time. And now I can’t open a Wall Street Journal unless I’ve read the Bible first because it’s like, Well, what’s more important? And so I think it’s really something where you know God’s leadership has definitely been key. Narrator: Ray and the staff at CBD are celebrating 40 years of business, ministry, and eternal impact. 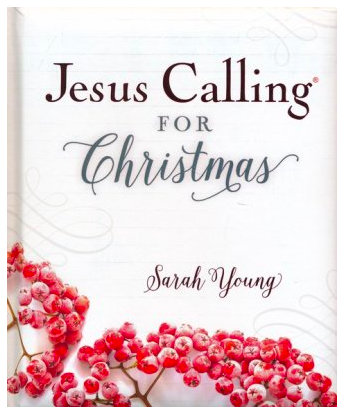 Be sure to check out all the products they have, including the new Jesus Calling Christmas Devotional and the Jesus Calling Christmas storybook for kids, now available at CBD.com. Narrator: Next time on the Jesus Calling Podcast, we visit with popular Christian music duo, for KING & COUNTRY. Joel and Luke Smallbone share their beginnings and what is was like losing everything while living in Australia and seeing God’s hand provide for them as they started over in America. Joel: We lost everything. We lost the house, we lost the savings, lost the car. And so [our dad] was looking for a fresh start for the for the family and got a job offer in Nashville, Tennessee. So we, just as a family, I think, it was a defining moment for us. And we would gather around in the living room and circle up and just pray and just ask God for these essential things in life, and we just got to see God do amazing miracles. One of the things that I’ve even said nowadays is, one of the things I think God is really good at is providing. Love Jesus Calling! Such an inspiration for what I’m going through that day! God puts it right there before you! Thanks for sharing this!